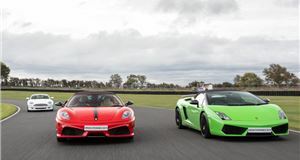 Maybe your supercar is at the garage, or it’s raining and you don’t want to get it wet. Or perhaps you don’t have £1.6 million in change floating around. Whatever the reason, here are ten Lego automotive kits that will keep you going until your numbers come up. 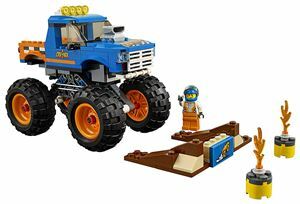 Originally hailing from America, where bigger is always better, this City Monster Truck set will allow you to indulge all your car-crushing fantasies. 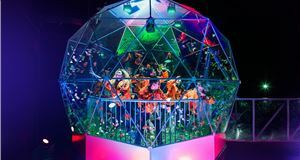 The set includes the truck with suitably giant tyres and bouncy suspension, a ramp for you to build to launch it from and two buildable fire containers for it to leap over. It’s a modest 192 parts, but it's pocket-money price. 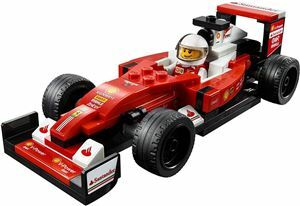 Recreate your favourite Ferrari F1 moments with this Scuderia SF16-H Lego kit, whether it’s throwing away a certain race victory by sticking it into the barrier or endlessly complaining to the stewards about a race result. The unerring accuracy of the 184 parts captures the true Tifosi spirit of the overprivileged and a lack of sportsmanship, as well as a pit wall with start-finish line, pit monitor and chequered flag. This one is a bit special. 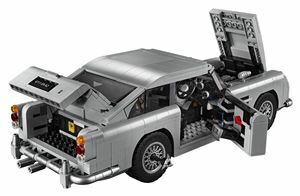 Announced in July 2018, the Lego Creator Expert James Bond Aston Martin DB5 blends the glamour of the British brand with a stack of gadgets you’d expect from 007. The 1290 piece kit includes the infamous ejector seat, revolving numberplates, hidden telephone and machine guns, as well as a detailed interior and engine bay. It'll definitely be a great build. 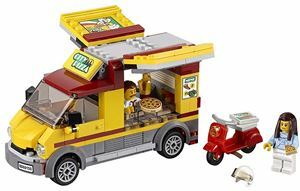 An ideal addition to any city landscape, this Pizza Van set will give you the chance to not only produce overpriced pizza but also underpay a teenager with a moped to deliver it. The van has opening sides with a built-in kitchen, the scooter has a space on the back for the pizza and there’s a table with parasol too. A chef and a customer minifigure are also included. A fine pair of racing cars celebrating Ford sticking one over its arch-rivals at Ferrari in the 1966 24hr of Le Mans. 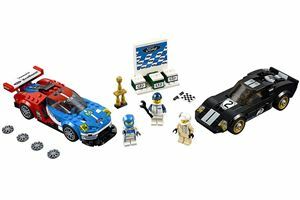 The original 1966 GT40 wears the original colour scheme, cockpit and a minifigure in the period race suit, with the 2016 GT complete in the period racing colours with driver to match. Also included are a chequered flag, podium and trophy, making up the 366 pieces overall. Celebrating the original Mini before those pesky Germans got involved with this Creator Mini Cooper set. 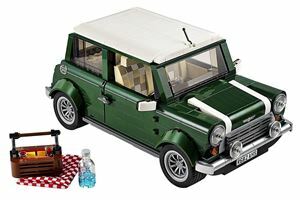 Based on the end of the line MkVII model, the Lego edition is resplendent in British Racing Green with white stripes and features plenty of fine details. The doors, boot and bonnet open, the latter revealing a Legofied A-series engine, and the roof comes off so you can enjoy the interior details. There’s even a picnic blanket and basket in the boot for the authentic 1990s England experience. 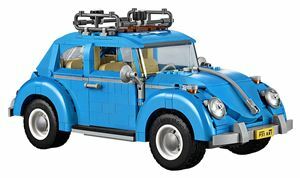 As if the original production run of 21 million wasn’t enough, you can add to the fleet with this highly-detailed Creator Expert version of the Volkswagen Beetle. 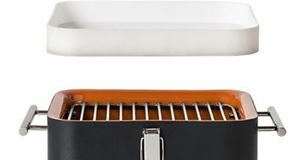 With 1167 parts it's almost 50cm in length, and there are period features like the whitewall tyres, rear-mounted engine and beach-ready kit like the surfboard and beach towel. The roof is also removable so you can explore the detailed interior. 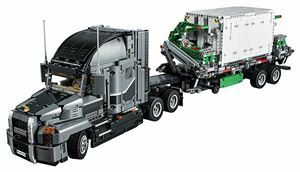 Technic means more bits and more money; for your sizeable outlay the Mack is gorgeously detailed, with a steerable front axle, the correct straight-six engine with moving pistons and cooling fan, a detailed cabin with adjustable seats, a bunk bed and sunvisors amongst the smart touches. The trailer isn’t short on kit either with landing legs and crane arms to keep you busy. With 2595 pieces the 11+ age rating might be a little generous. A bit like older 911s, this GT3 RS is not for the faint-hearted. With 2704 pieces and a price tag of £200 - even with a sizeable Amazon discount - commitment is definitely required. The kit is designed to go together in a way that reflects the actual build process of the real car, and the detail level is extremely high: there’s a flat-six engine with moving pistons, red suspension springs, brake calipers, moving DSG gearbox and even a unique serial number in the glovebox. 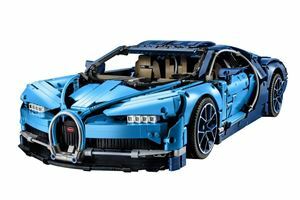 Fittingly the Lego Technic Bugatti Chiron is just as complex, expensive and leagues ahead of other supercars as the full-size machine. The 3599 pieces include the bits required to build the W16 engine, eight-speed dual-clutch gearbox, active rear wing and highly-specified interior. Just like the real car, it also comes with a high-speed key, required to lower the rear wing into position for a top speed run. Buy and build your own Lego Chiron and there’s arguably more kudos than owning the real thing.